YALSA’s Morris Award (technically the William C. Morris Debut Award) is a great showcase of strong new voices in the YA literature field. Often there are a few books we have had on our speculation list that end up being Morris finalists, because good writing is good writing. And, of course, sometimes the best writing is a debut — from Looking for Alaska, 10 (TEN!) years ago (before the Morris, but still a debut) to Seraphina just two years ago. But the thing is that the Morris pool is a LOT smaller. And often crowded with schools of commercial clone fish, against which the more original and/or literary novels tend to really shine. And we all know that a big fish in a small pond often becomes a small fish when the body of water is bigger. This is a difficult review to write. The reason I’m struggling has nothing to do with Steve Sheinkin’s book, and everything to do with it. My thoughts keep turning to Michael Brown, John Crawford III, and Tamir Rice. I’m thinking about the protests happening all over the country as I write these words. 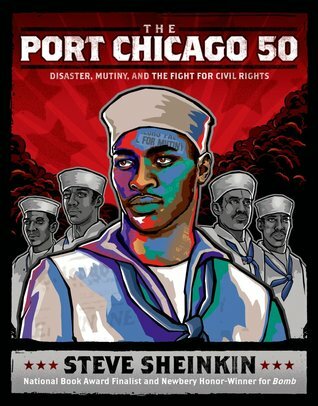 And I’m thinking about how these current events are part of the narrative of civil rights and racism in the U.S., specifically their connection to what happened at Port Chicago 70 years ago. Almost three-quarters of a century have passed since those 50 black sailors were convicted of mutiny, but we still need to take a hard look at the ways in which American systems have criminalized black youth—even when those young people are actively working to serve and defend the country. I initially came across this one on Jen‘s fabulous spreadsheet. Two stars doesn’t make it a must read, but I still haven’t quite recovered from The White Bicycle. 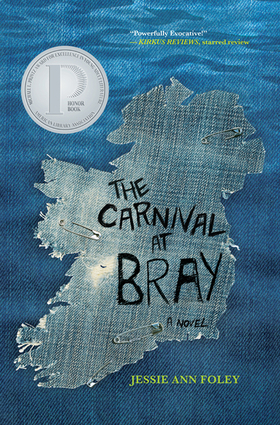 It’s one thing to not have read a Printz winner/honoree personally, and a common thing, it seems, for me to disagree with the winner, but for a book to be so far off the radar that I hadn’t heard of it was really surprising and a cause for chagrin. So I try to pay attention to 1 and 2 star titles that are utterly unfamiliar, in hopes of never being that surprised again. It’s so hard when a book is completely admirable and worthy of discussion and yet I just can’t like it. Because now I’m torn between wanting lots of discussion on this and also wanting to move on to a book I can like more. Winter and the Connecticut suburbs, man. It’s all misery. David Almond was one of the original Printz court (see my royalty pun there?). Skellig was an honor book in 2000, and then Kit’s Wilderness took the gold in 2001. Almond hasn’t stopped writing; at least in his native England, he seems to have something published and earning accolades nearly every year. So why is no one talking about his latest to cross the pond, the surreal and magnificent The True Tale of the Monster Billy Dean? 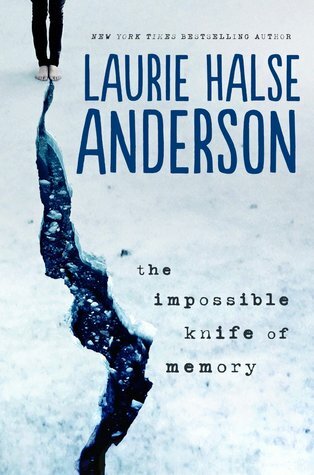 Addiction, depression, PTSD; these weighty problems are the main focus of Laurie Halse Anderson’s The Impossible Knife of Memory, recently longlisted for the National Book Award. There’s definitely some great writing here that is worth talking about; Anderson’s ability to sustain an intense narrative in one character’s voice is admirable. But that’s just one element out of many criteria that the RealCommittee will look at if this book is up for discussion. 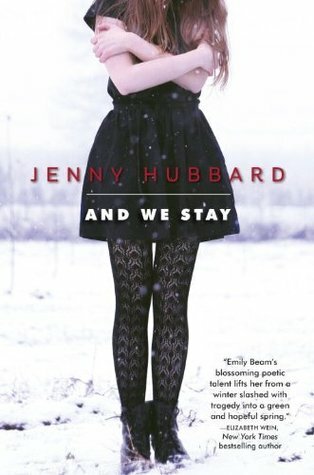 Any book with four stars by a former Printz honor winner is certainly going to have some attention but ultimately I found this book moving, yet flawed. 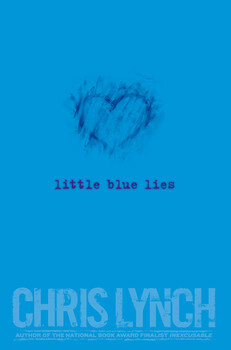 Printz Honor Book author Chris Lynch’s latest novel is a brief, quirky tale of two teens who aren’t meant to be together. No, they’re not star-crossed lovers, rather Oliver and Junie’s relationship is too glib and shallow to ever have been the foundation for something meaningful. Despite this, Oliver spends most of the novel chasing June (literally and figuratively). Full disclosure: I read this book in January for the SLJ review section. I enjoyed reading this book. 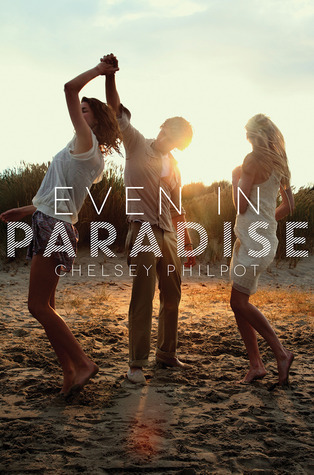 It’s offbeat, reads quickly, and speaks to that real anxiety about the future that all teens experience at some point. Possibly the most important factor in my enjoyment was that I read it in the midst of a lot of Printz blog reading and reviewing and immediately after finishing Zadie Smith’s bleak and challenging (in a good way) NW. It hit me at the right time. Over eight months later, it’s harder and harder to remember anything extraordinary about Little Blue Lies.